A U.S. steel company is interested in acquiring Kremikovtzi ( ), Prime Minister Sergei Stanishev said on Tuesday. 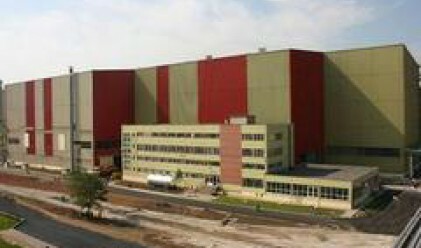 BTA quoted Stanishev as saying that he was informed about the U.S. company's interest in Bulgaria's largest steelmaker by the U.S. ambassador to Sofia. He did not name the company and the U.S. embassy declined to comment, but sources revealed the company was American Steel. Last week, Kremikovtzi Chief Executive Alexander Tomov said Ukrainian billionaire Kostyantin Zhevago was in the final round of talks to acquire a majority stake in the mill, which contributes indirectly to incomes of 100,000 people. Zhevago, who heads a financial and industrial group and controls 73 percent in London-listed Ukrainian iron ore producer Ferrexpo, will arrive in Sofia on Wednesday for talks with the government, which holds a minority stake in Kremikovtzi. The potential sale of the mill has prompted the Socialist-led government to seek guarantees that a new owner will keep the loss-making mill operational. Tomov has said that that Kremikovtzi's majority owner, India's Global Steel Holdings Ltd (GSHL) controlled by Pramod Mittal, had failed to provide investment of between 120-140 million euros ($175-205 million), needed for environmental upgrades and working capital. Mittal, the younger brother of steel tycoon Lakshmi Mittal, has said he was in talks with several investors for the sale. He met Bulgaria's economy minister in Sofia on Tuesday but declined to comment after the talks. The government said last week Mittal had assured Stanishev that GSHL would not strike any deal without government consent. Stanishev reiterated on Tuesday that all potential investors should consult the economy ministry first and that a deal should not be struck without government consent.